From 25 to 28 February, GALILEO FOR MOBILITY was showcased at the Galileo Booth hosted by the European GNSS Agency (GSA) (Hall 8.0, Stand 8.0H15) at the Mobile World Congress (MWC) in Barcelona, Spain. The GSA Galileo stand showcased several Horizon 2020 funded, Galileo-powered innovations, including the GALILEO FOR MOBILITY project. At MWC, GALILEO FOR MOBILITY presented the different services it is currently testing, including an on-demand public transportation system in Barcelona, a vehicle sharing initiative in Paris, and a ride sharing programme in Thessaloniki – among others. “The project as a whole tackles all modes of transport, both private and public, as well as various services that will support MaaS in the near future, emphasising the advantages of using EGNSS with regards to the performance of these services,” explains project Coordinator Martí Jofre. 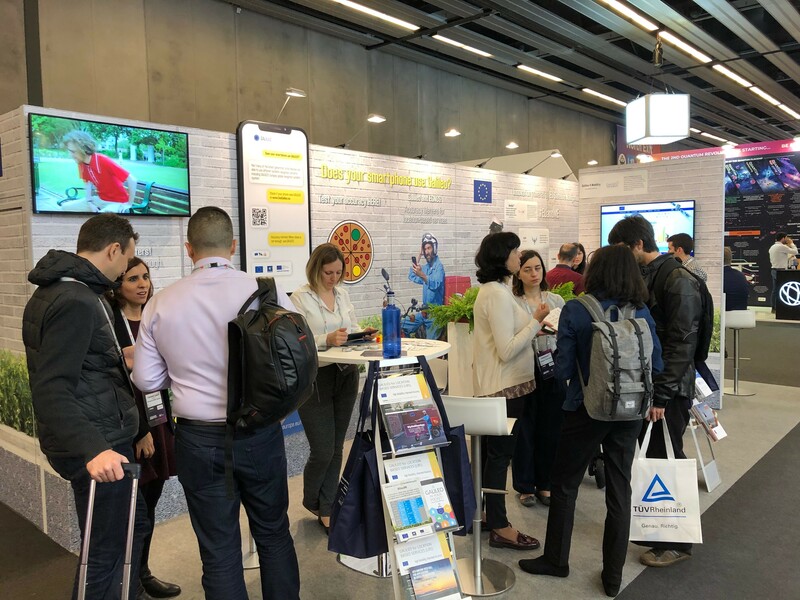 During the course of three days, many visitors found their way to GSA stand and showed interest into the GALILEO 4 MOBILITY project. You can read the full article about the GSA Galileo Booth at MWC here.